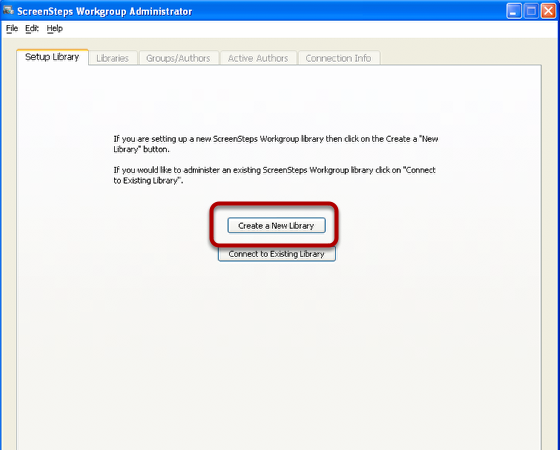 This lesson will show you how to set up a new ScreenSteps Workgroup library. When you launch ScreenSteps Workgroup Administrator for the first time on a computer you will see this screen. 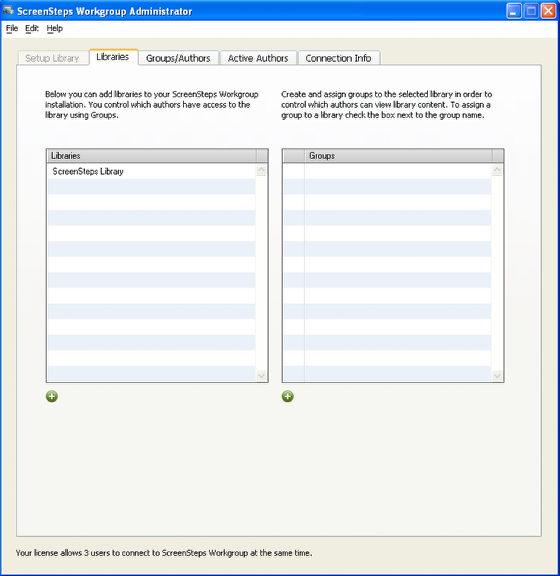 To create a new library click on the Create a New Library button. 1) Fill in your registration information. 2) Select the database type, host and provide the credentials for a user that can create a database. 3) Select the network folder(s) where all of the library resources will be stored. These folders must be accessible to all of the authors who will use ScreenSteps Desktop. Note that you provide separate paths for Windows and Mac computers. If you are using a symbolic linked folder on OS X then make sure that the path to the symbolic linked folder is entered and not the folder the symbolic link folder points to. If you are working with SQL Server then you need to enter the DSN name of an ODBC connection that you have created on the computer. 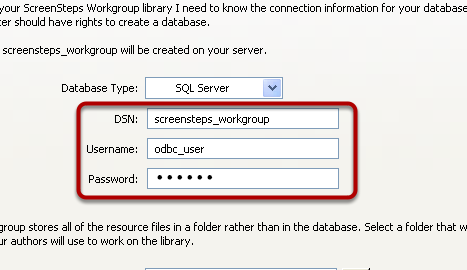 If you connected to a SQL Server database then the screensteps_workgroup database that you created will have been populated with all of the necessary tables. 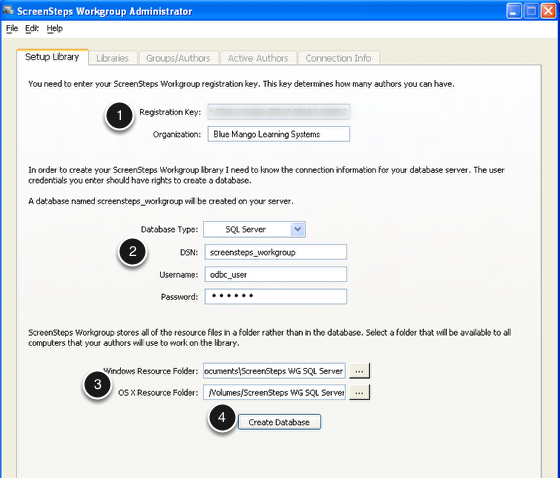 For other databases the screensteps_workgroup database was created for you. The Libraries tab is now visible and you can begin creating libraries, groups and authors.